7:45a So, Day 1 and I completely forgot about my promise to challenge myself in my hazy wake up at 5:30ish this morning. That’s OK. I quickly caught myself by 7:15 on my way to work. I currently have my Outlook closed (#17) and my notifications on my phone are now silent (#29). BEDTIME ROUTINE: this one will be slightly more difficult. We are currently in the middle of a home renovation project, so it causes our nights to be slightly chaotic. However, I will try to get this as close to “relaxing” as possible. I get home between 5:30p and 5:45p every night, so I am going to start there. Clean up the kitchen and wipe the counters down. Kids in bed at 8. 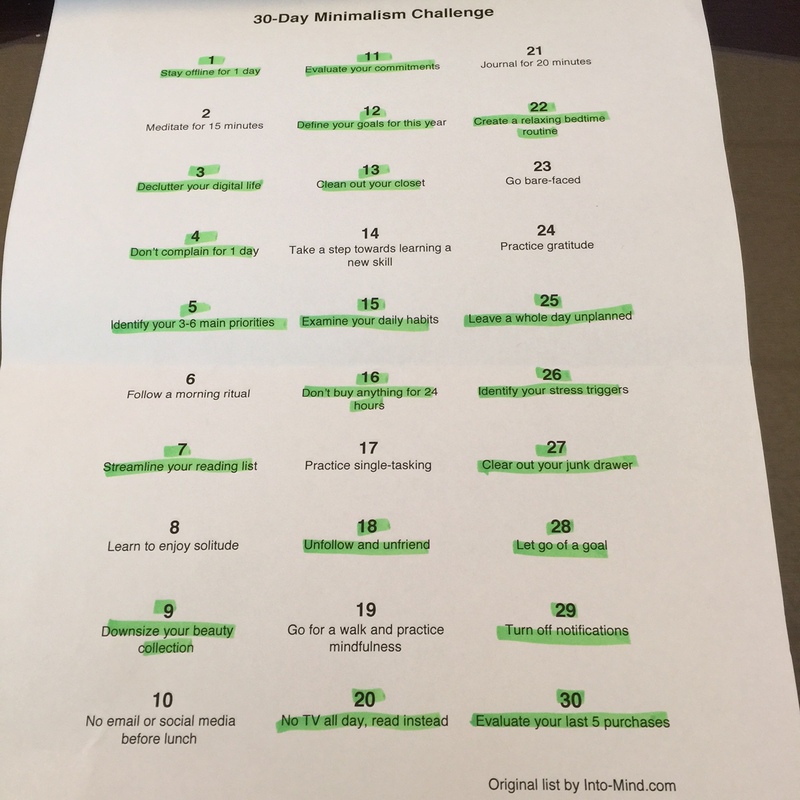 8-8:30 evaluate my challenge progress and update the blog.